Nutmeg or Myristica fragrans is an evergreen tree indigenous to the Banda Islands in the Moluccas of Indonesia or Spice Islands. Until the mid 19th century this was the world's only source. The nutmeg tree is important for two spices derived from the fruit nutmeg and mace. Nutmeg is the actual seed of the tree roughly egg-shaped dried while mace is the dried "lacy" reddish covering or arillus of the seed. This is the only tropical fruit that is the source of two different spices. Nutmeg and mace have similar taste qualities nutmeg having a slightly sweeter and mace a more delicate flavour. Mace is often preferred in light dishes for the bright orange saffron-like hue it imparts. Nutmeg is a tasty addition to cheese sauces and is best grated fresh. Nutmeg is a traditional ingredient in mulled cider mulled wine and eggnog. In Penang cuisine nutmeg is made into pickles and these pickles are even shredded as toppings on the uniquely Penang Ais Kacang. Nutmeg is also blended (creating a fresh green tangy taste and white colour juice) or boiled (resulting in a much sweeter and brown juice) to make Iced Nutmeg juice. 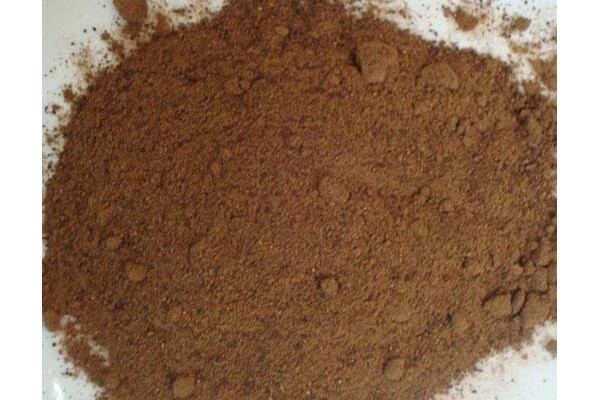 In Middle Eastern cuisine nutmeg grounds are often used as a spice for savory dishes. In Greece and Cyprus nutmeg is used in cooking and savory dishes. In European cuisine nutmeg and mace are used especially in potato dishes and in processed meat products; they are also used in soups sauces and baked goods. In Dutch cuisine nutmeg is quite popular; it is added to vegetables like Brussels sprouts cauliflower and string beans. In the Caribbean nutmeg is often used in drinks such as the Bushwacker Painkiller and Barbados rum punch. Typically it is just a sprinkle on the top of the drink.